Choledocholithiasis is a frequently encountered problem on intraoperative cholangiography at the time of laparoscopic cholecystectomy. 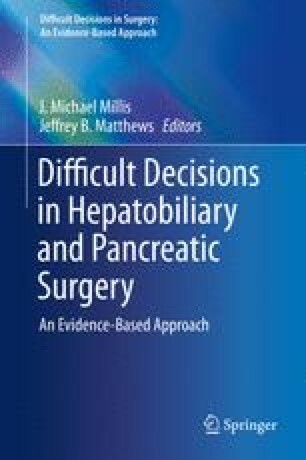 While numerous strategies have been described for dealing with this intraoperative scenario, most surgeons employ laparoscopic common bile duct exploration (LCBDE), open common bile duct exploration, or postoperative endoscopic retrograde cholangiopancreatography (ERCP) in this situation. It is important to understand the relative outcomes of each of these strategies in terms of stone clearance rates, morbidity, the need for secondary procedures, and other outcomes such as hospital length of stay. Although the data are limited, the initial procedure of choice may be LCBDE through a transcystic approach, followed by either transcholedochal exploration (laparoscopic or open) or postoperative ERCP depending on anatomic factors and available expertise.